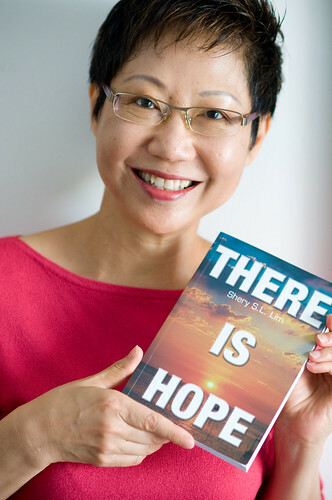 Last weekend I had the privilege to shoot Shery Lim who is the author of the recently published book, “There is Hope“. “There is Hope” is how Shery wants people out there who are currently battling cancer to know that there is still hope. Meeting her in person was such a joy and a privilege for me and I was truly blessed by both her and her husband who were so hospitable. A little background on the shoot is that Asian Beacon needed a cover shot for one of their stories and guess who would be on the cover of the next Asian Beacon magazine? 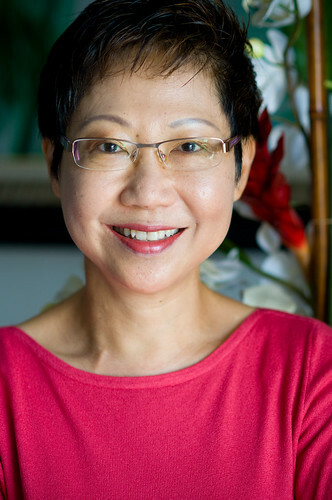 Ms. Shery Lim, author of the book “There is Hope“. The boxes signifies the size of her cancer over a short period. God is indeed awesome and amazing. Look how small it shrunk into! Of course I can’t resist taking some candid shots. Portrait shot without the book. Just like my previous profile shot, all of these were shot with the Nikon D300 using the 85mm f/1.8 lens and utilizing all available lighting within her home in Puchong. If I am not wrong, Shery’s book can be purchased at either MPH or Canaanland. Here is the link to purchase this book via Canaanland’s online store. The book costs only RM25.00. More photos can be found here on my Flickr photostream.